I recently took a case from another funeral home, and when I was picking him up, I grabbed a copy of their General Price List, the document that all funeral homes are required to distribute either upon request or during the arrangement, which lists all services provided and their prices…subject to change at any time, of course. I could immediately see why this family wanted to go with me instead. I charge $4000; they charge $13,000. I also noticed another item on the price list – unembalmed bodies will not be dressed. I’m not aware of any regulations preventing a funeral home from refusing to dress an unembalmed body. No one likes to dress unembalmed bodies. They’re floppy. They leak. They smell, and may need a thorough washing and sanitizing. Sometimes you pull the sleeves over the arms and the skin on the arms and hands comes off like a glove (literally). However, I don’t like the idea of refusing to serve a family just because doing so is “gross.” If you want to avoid gross stuff, perhaps a career in architecture or basket-weaving is for you. My job is to take care of human remains in accordance with the bylaws of my profession and the wishes of the family. Sometimes it’s unpleasant. Sometimes it’s downright gross. Sometimes I toy with the idea of suddenly going out of town, which I can do because I’m a freelancer. One of the most unpleasant cases I had, fairly recently, was someone I wasn’t looking forward to dressing even after embalming. He had some kind of flesh-eating disease and a great deal of flesh came off as I worked on him. His facial features had been eaten away and he had a thick sort of growth resembling cauliflower over most visible areas of his body. Nothing at all would make him look good, but this was how he looked in life and his family would be used to it. I didn’t want to come to work the next day. My job had been done, the body was embalmed, and I could have just left. But he was to be dressed, and if the embalming was complicated – as a case with skin slip tends to be – it’s a good idea for the embalmer to do the dressing, because she and not the other funeral home staff will be aware of any areas of the body that were treated with external preservative chemicals. Phenol is commonly used to bleach and dry tissues, and that is a caustic substance you don’t even want on your gloves for very long. I can’t use that on a body and then send other people in to dress without mentioning where on the body that substance will be. So I dressed him – he who was also an obese case who would be buried in a tuxedo. It was very unpleasant; far more so than dressing an unembalmed body who hadn’t been suffering from a strange disease. There are some funeral professionals who will refuse to dress an unembalmed body over an outdated fear of “germs.” I am absolutely not a germaphobe, but some in the profession are. There is a spectrum; on one end you will find people who embalm without gloves (even I wear gloves) and on the other end are the people who will put on elbow-length autopsy gloves just to dress a body. I’ve even gone to school with people who used paper towels to open doors – not just the doors of the prep room, but doors anywhere. Even in their own homes. Again, we fear the body and its biology because we are told to. The newly born are also full of “germs” but we don’t fear touching them. Many midwives do not wear gloves when handling the newborn because they want the baby’s first experience to be human skin contact, to feel actual hands. But since most will not touch a deceased person except perhaps a close relative, we don’t get to know firsthand that there is no risk to touching, dressing, or transporting an unembalmed body who did not die of a communicable disease. Just don’t do so with open wounds on your hands if the person died from something communicable. Embalming is a passing-away art. The sad reality is that after school and passing the boards and completing your internship and getting your professional license, you will find that most people do not want what you are selling. They don’t care that you can make Dad look like he never got crushed by that train, because they hadn’t spoken to Dad in years anyway. Funeral rites are not going anywhere. They have existed since the beginning of early humans, and it is our jobs as funeral service professionals to be in a place of assistance to people completing these rites. As someone who believes these rituals are meant to stay within the family and not be turned over to an institution, I will advise all families that they have the option of dressing the body themselves, with me remaining on standby in case they change their minds or it’s harder than they thought it would be. I will also remove the charge for dressing if they decide to do this themselves. I believe dressing someone you loved and cared for, especially a younger relative, is a very meaningful and intimate act and a very nice last thing to do for someone. An unembalmed body can look “good” for viewing purposes. Embalming only delays decomposition and provides the necessary drying and hardening of tissues to make them ready for cosmetic work in the event of facial trauma. Embalming fluid also swells tissues somewhat, and can fill out gaunt areas of the face. If you are viewing someone unembalmed, most likely they will be very light in color. The lips and fingertips may turn slightly purple if they have been dead for over a day out of refrigeration. There may be an odor of gases escaping the body, but never a decomposition odor. Scented candles, air fresheners or the decedent’s own perfume are enough. 3. You have the right to ask for a General Price List at any time, whether or not a death has occurred. Please read this document so you will understand all price information, and if your funeral home is one who will attempt to punish you financially for not doing it their way. This might be a bit difficult when dealing with grief, but if you can, pay attention to your funeral director’s reactions to your desired plans. Do they look skeptical? Do they ask you why you would want to do something like that? Do they attempt to talk you into embalming after you have already said no? Does their desire for involvement in serving your family seem to decline when they know they will not be embalming? Ive always thought the bereaved needs to be informed of the limitations of embalming. 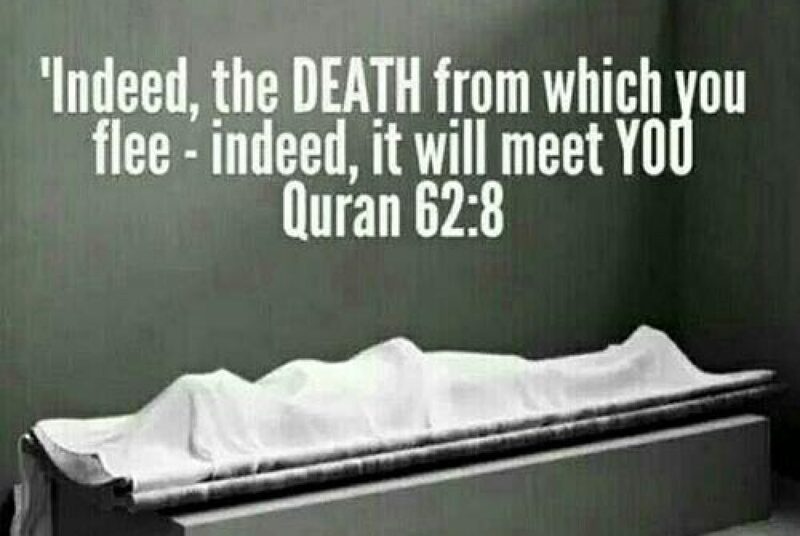 In the West most just try to ignore death which is unfortunate. Thank you so much for your excellent thoughts..work..and this site. People just don’t know a lot. I don’t even think most people know that unembalmed = floppy while embalmed = not floppy, never mind the other stuff. I may be naive, but I think people would appreciate deathcare peeps more if they were more informed, and the more information they have, the more appreciative they’d be, along with all of the other benefits being an informed consumer brings.